This is our March’s first freebie. 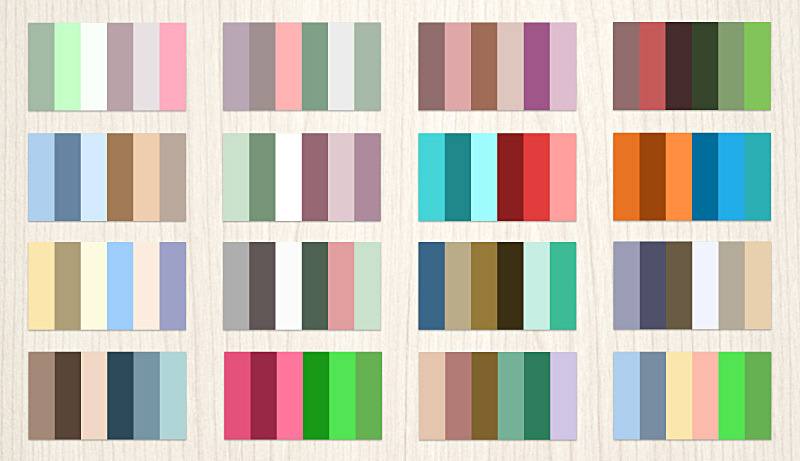 A Collection of awesome Color Swatches or Color Palettes Photoshop extension for UI designs. These palettes are handpicked from world class Designers on Dribbble. By using this color palette, you can change your website from good to WOW! Best suits for Admin template designs, Profile pages, landing pages, Technology related WebPages, Impressionist UI, Info graphic posters, nature related websites and more. 16 *.aco files included in this zip. Please note that the preview image is only for preview purpose . Downloadable colors are different and having high quality. How to install Color palettes Photoshop .aco color swatches? Copy your *.aco files and into: “Installed drive\” Program Files\Adobe\Adobe Photoshop X\Presets\Color Swatches where X is the version number for your version of Photoshop. To load a color swatch, go to the Swatches palette in Photoshop, then click the small arrow in the top right corner and select one of the swatch collections from the menu. Cannot Install?? Facing any issues?? Comment below and we will help you.